Sardaar Gabbar Singh Full Movie Making Video Released : The first official Sardaar Gabbar Singh Making Video will be releasing this evening and stay tuned here for more latest videos. 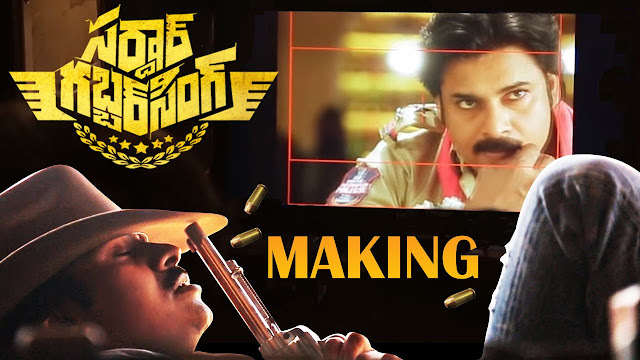 Pawan Kalyan Sardaar Gabbar Singh Making video is here. Huge numbers of fans are eagerly waiting to watch the movie in theatres. On the other hand, this film always in the news with its latest updates. Till now, lacks of Pawan fans are enjoying with SGS pictures and small trailers etc. Now, they will have a chance to enjoy with latest updates i.e. Pawan Kalyan Sardaar Gabbar Singh making Video. Yes, movie unit has been released SGS Making video in the part of its promotion.